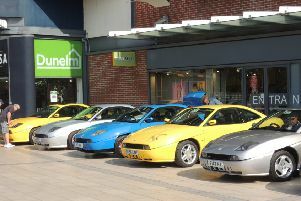 Around £900 was raised for the Olive Tree Cancer Support Centre in Crawley. The Mayor of Crawley Carlos Castro and his wife Katia joined supporters of the Centre for a fundraising evening at Hispalis Spanish restaurant in Crawley. After dinner Alyson Smith, the Olive Tree Fundraising Manager, held an auction, with lots that included tours of the Bolney Wine Estate, passes to No. 1 Airport Lounges, AC/DC memorabilia signed by drummer Chris Slade and a magnum of Prosecco donated by Yashar Koksal, the owner of Hispalis restaurant. Once the auction was completed, there was a raffle, run by Alyson and her daughter Ellen. The evening raised approximately £900, all of which will go towards helping the Olive Tree team to continue supporting local people affected by cancer.